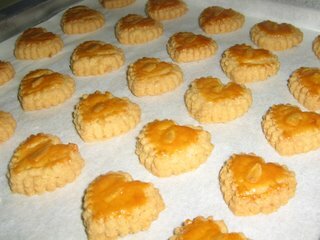 Remember the Almond Cookies that I made for my mum?? I made a small batch of those for myself. This time round I used a heart shaped cookie cutter .. should I name these Almond Hearts?!?!?! .. hahaha.